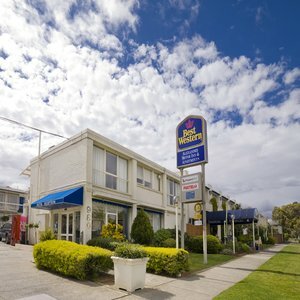 Stay at this Essendon motel, only 15 minutes from Melbourne Tullamarine Airport and 15 minutes from Melbourne CBD. Welcome to BEST WESTERN Alexander Motor Inn & Apartments, located in the Essendon shopping district with public transport options to the city directly outside the motel. The BEST WESTERN Alexander Motor Inn & Apartments has a range of accommodations to suit everyone from deluxe rooms to spacious family rooms and spa suites. All rooms are comfortably furnished and offer FREE Wi-Fi and LCD TV's. Spacious self-contained apartments are also available and conveniently offer washing machine and dryer, full kitchen and dining & lounge areas. The BEST WESTERN Alexander Motor Inn & Apartments is spread over 2400 square meters and has ample parking for cars and buses. Guests at this Essenden motel also have access to the on-site licensed restaurant, Fredrick's, which is open Monday to Thursday. BEST WESTERN Alexander Motor Inn & Apartments offers a convenient location to attend events at the Royal Melbourne Show grounds and Flemington Racecourse. The friendly, helpful staff at the BEST WESTERN Alexander Motor Inn & Apartments are ready to ensure a fun-filled and memorable stay in Essendon, Victoria. Make a reservation today and save!